The Juice Festival returns to NewcastleGateshead this October half term with a jam-packed 9 days of fun, theatre, dance, arts and culture. Aimed at children and their families plus young people under 25, the festival is thought-provoking, inspiring and offers something a little different. The theme for this year's Juice Festival is Freedom City 2017 - a city-wide programme across Newcastle marking the 50th anniversary of Dr Martin Luther King receiving an honorary degree from Newcastle University. There are over 20 events taking part in this year's festival across public spaces, arts and dance venues across NewcastleGateshead. If you fancy trying something new with the kids this October or need a break from the barrage of Halloween fun, the Juice Festival should be the first place you consider. Wow! I can't believe all of this is being offered completely FREE of charge. 26 October is definitely a date for your diary. No need to book - simply drop-in. See here for more details. Inspired by the theme of freedom, pupils from Primary Schools across Gateshead have been working with local artists to create their own illustrations of mythical creatures and imaginary places. The exhibition is free to visit and special workshops will run alongside the event. Find out more here. The region's young people are invited to join Tyneside Cinema's young programming team in celebration of the best young film-making talent cross our region. Expect an evening of film, popcorn, celebration and lots of talent. There is no cost to attend this event but places should be pre-booked online here. Fancy trying your hand at juggling want to try spinning plates? Pop along to the big top for your chance to try. Workshops are FREE and do not need to be pre-booked but they are available on a first come basis so if you're keen, my advice is to get there early. Sessions start at 2:30pm on Saturday and 2pm on Monday. Find out more here. This special session is aimed at children aged 6 and under with their grown-ups. 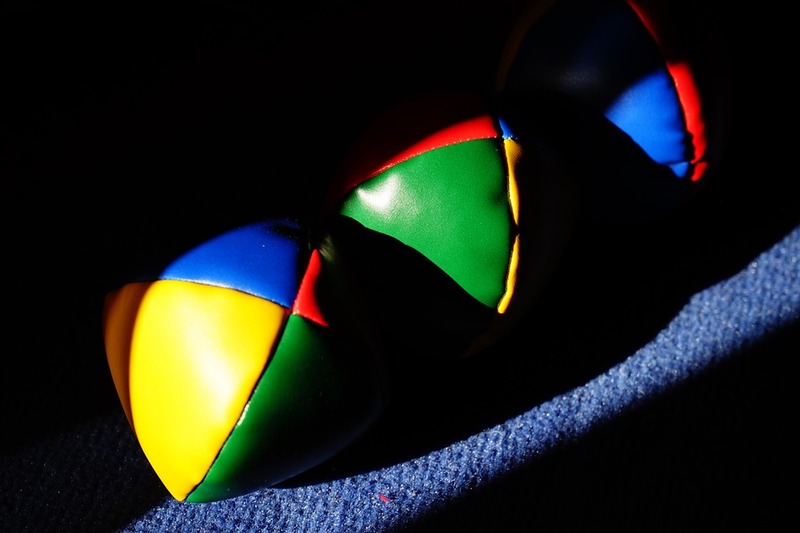 It's the chance to move, play and explore the circus. This event is free of charge but places should be pre-booked online. Find out more and book your place here. I tried this at another festival with Heidi last year and it was so much fun. It's the chance to build trust and communication with your family as you balance family member on family member. Sessions are free of charge but should be pre-booked. Find out more and book your place here. As well as the FREE events mentioned above, there are lots of other low-cost activities happening as part of the Juice Festival across the week. Highlights include pay as you feel Circus performances, Comics Takeover at Seven Stories, Walter at Alphabetti Theatre, Above & Beyond at Northern Stage, iPet at Northern Stage, Fairytales Gone Bad at Northern Stage, Get Crafty at Shipley Art Gallery and so much more.